How do you want to save time? 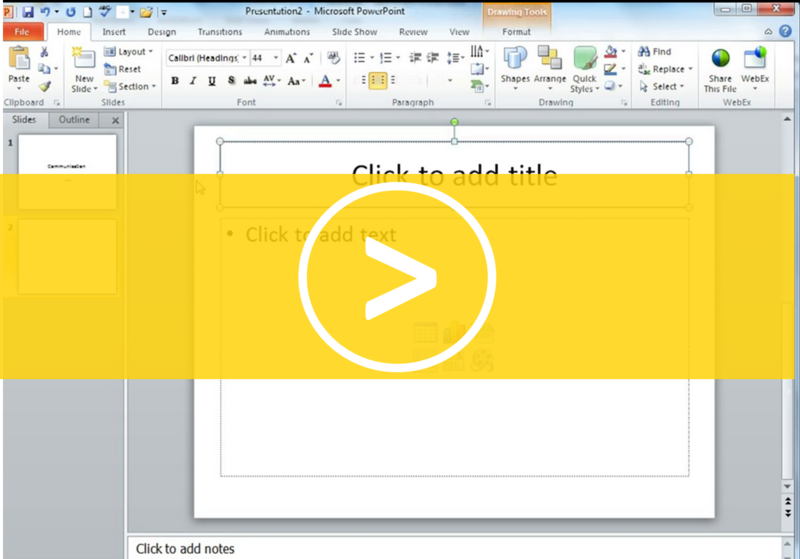 PowerPoint Tip Using hyperlinks in your presentation CLIP FOCUS Create and use Hyperlinks in a presentation. PowerPoint Tip Creating An Organisation Chart CLIP FOCUS Use the built in tool to create organisation charts in a few minutes. MS Office Tip Quick Access Toolbar CLIP FOCUS Make sure all your favourite tools are just one click away by adding them to the Quick Access Toolbar. Also find out how to access the toolbar through keyboard shortcuts. 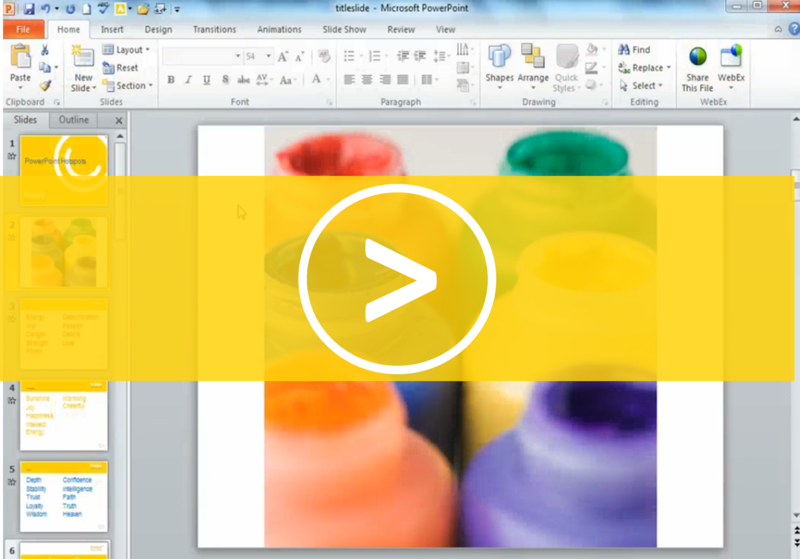 PowerPoint Tip Transitions in PowerPoint CLIP FOCUS Transitions control how you go from one slide to another in your presentation, get them right and you'll make a great impression! PowerPoint Tip Hiding Background Graphics CLIP FOCUS Ensure your presentation graphics have maximum impact but hiding any distracting logos or background designs. 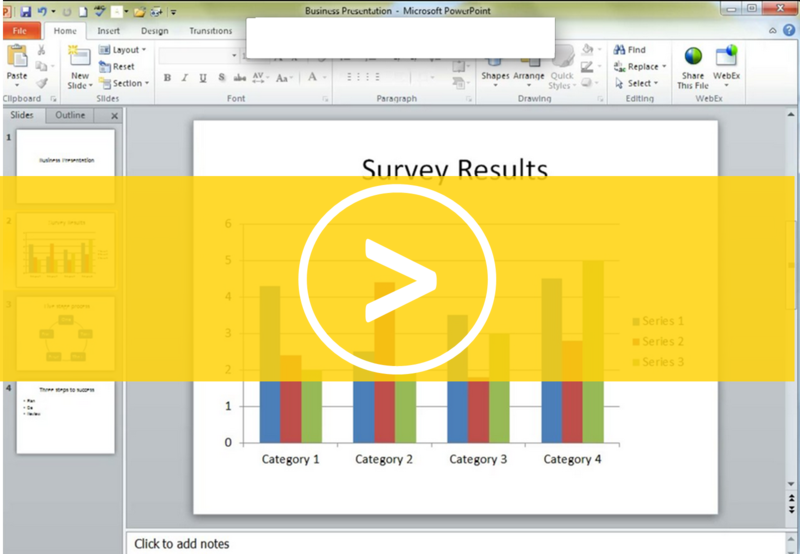 PowerPoint Tip Animating Charts CLIP FOCUS Charts are a great way to display data, this clip looks at applying animation so that chart elements appear one at a time – allowing you to talk through your data without distraction. 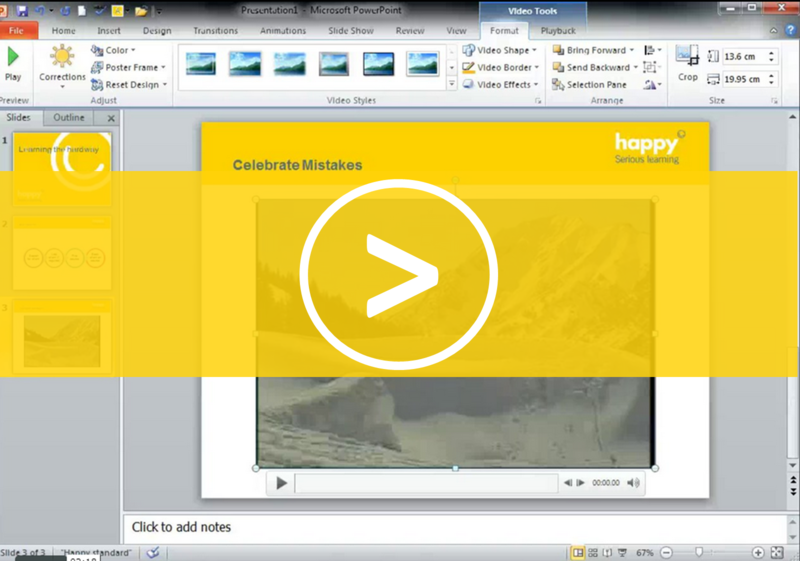 PowerPoint Tip Placeholders and Layouts CLIP FOCUS Use standard layouts to keep your presentations tidy. PowerPoint Tip Editing Video in PowerPoint CLIP FOCUS Liven up presentations with video and make sure your clips show just the best bits. PowerPoint Tip Convert Bullets to Smart Art CLIP FOCUS Take a boring slide with bullets and turn it into professional diagram in seconds. 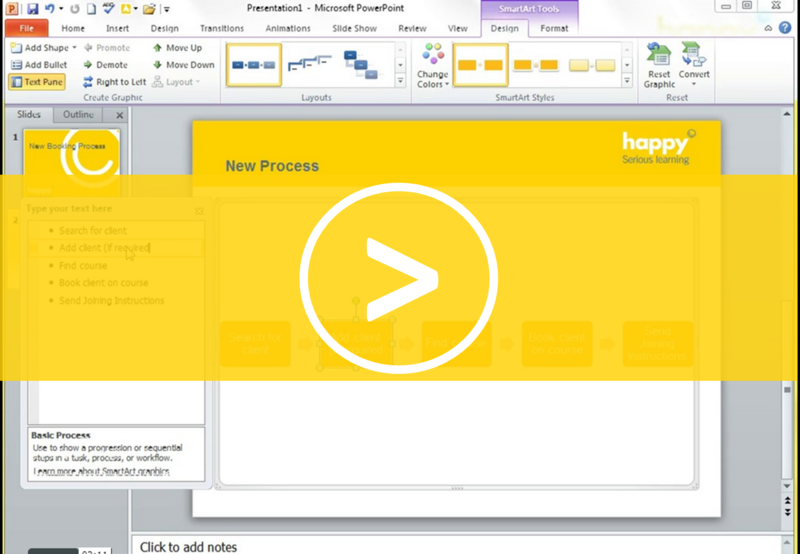 PowerPoint Tip Hotspots CLIP FOCUS Create hyperlinks from different elements in a picture to create an interactive flow to your presentation.